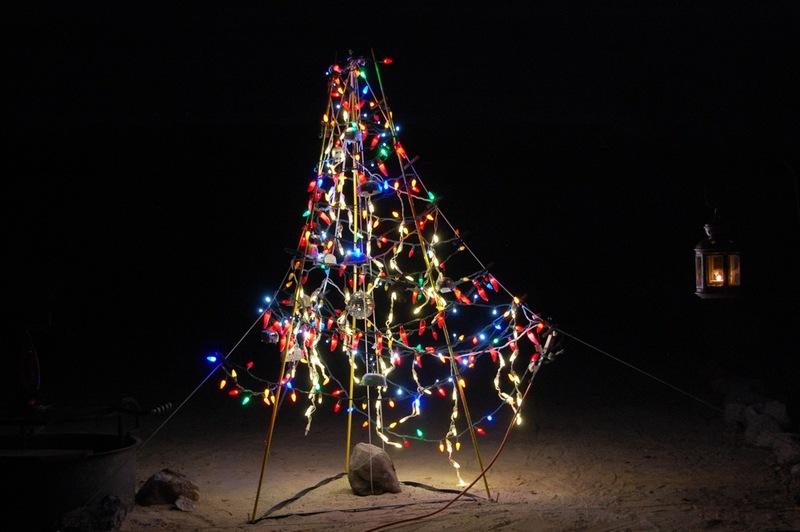 Happy Holidays from the desert! 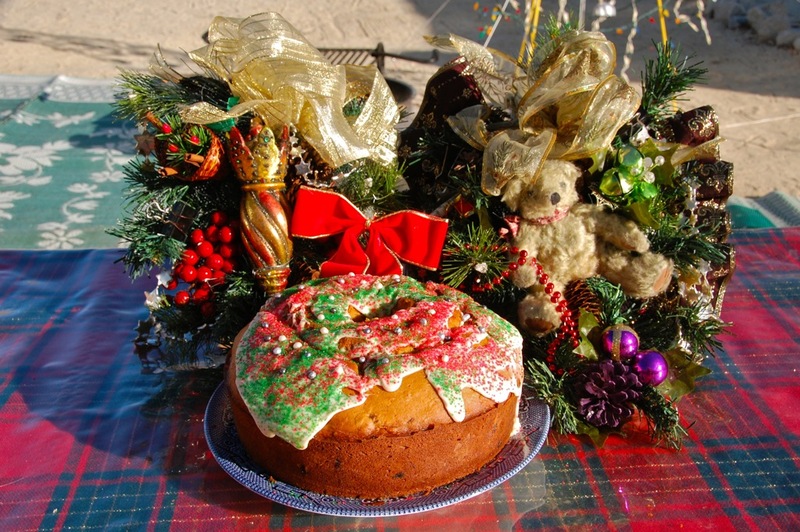 Recovering from post-election blues and a bout of tendonitis that scuttled last month’s trip to the desert, we sorted through our Christmas decorations and rediscovered our Nacimiento de barro bruñido that had not been displayed in a decade and was up for review. 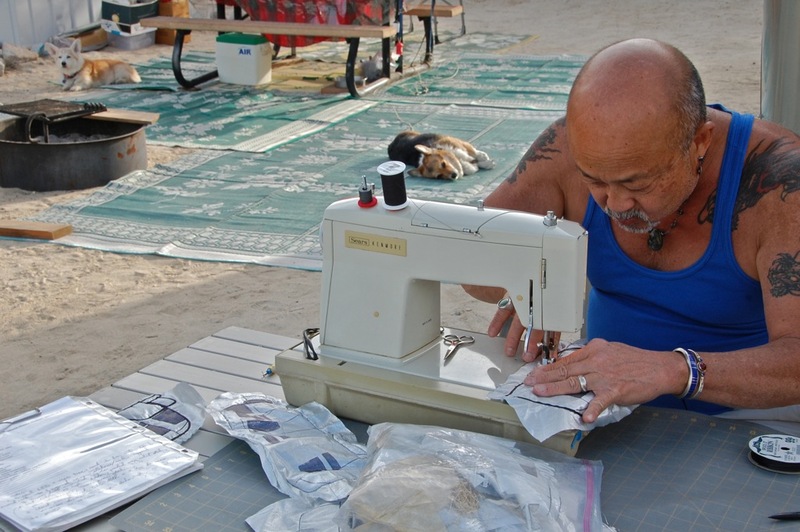 As Larry unwrapped the pieces and placed them in the early morning sun, he experienced a flood of sentimental feelings and memories of a 2-month stay in Cuernavaca,* Mexico, attending a special class on Neurodevelopmental Treatment for cerebral palsy in 1980 when he was an Occupational Therapist. 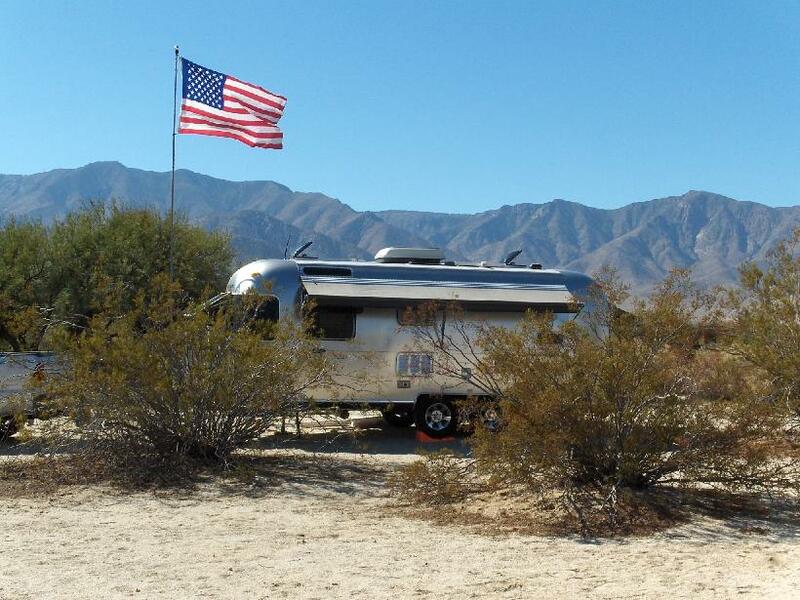 His experience studying and living in a foreign country, knowing only a semester of Spanish endeared him to the children and people of Mexico. Many of his patients were Mexican immigrants. 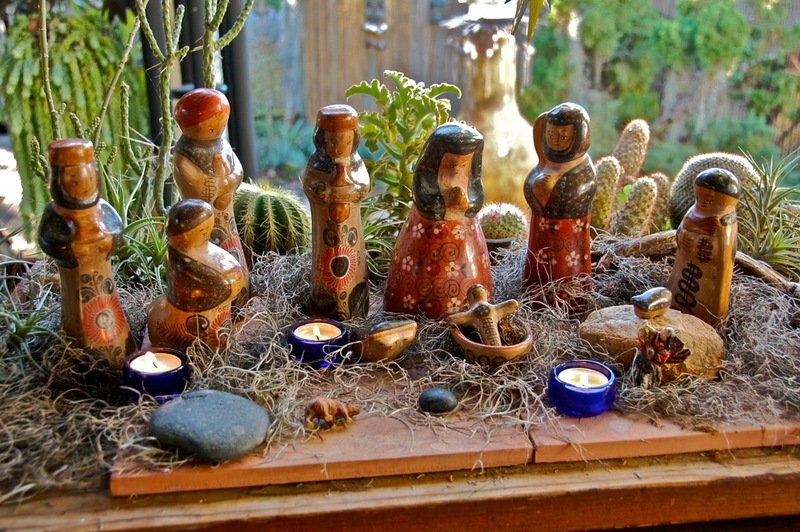 We both agreed the nacimiento continues to be an important part of our family reminding us of peace on earth, good will toward men, women and children, and will continue to have a home with us! 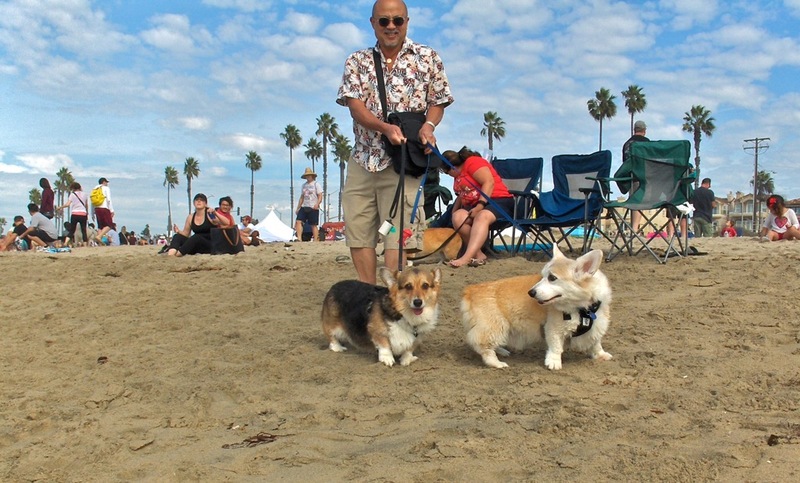 Larry made two holiday decorative panels that can be attached to our corgis’ harnesses in preparation for our attendance at the San Diego Corgi Meetup – Caroling in Balboa Park upon our return from the desert. 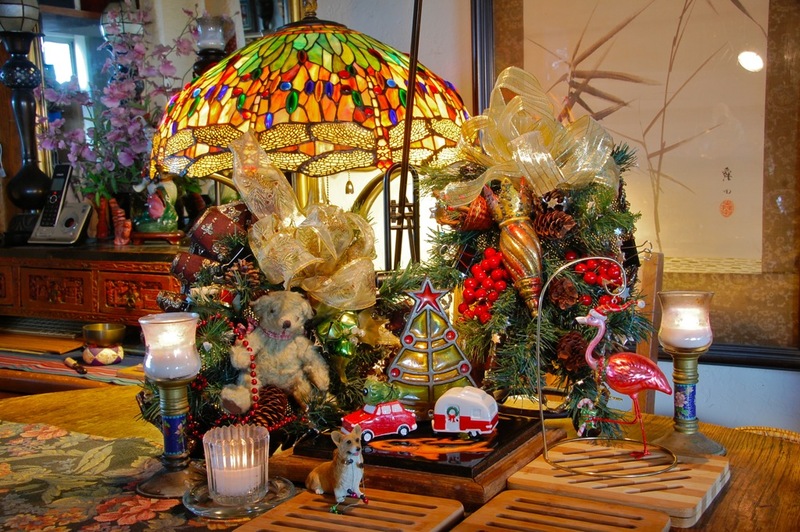 They double as table displays, as seen below! 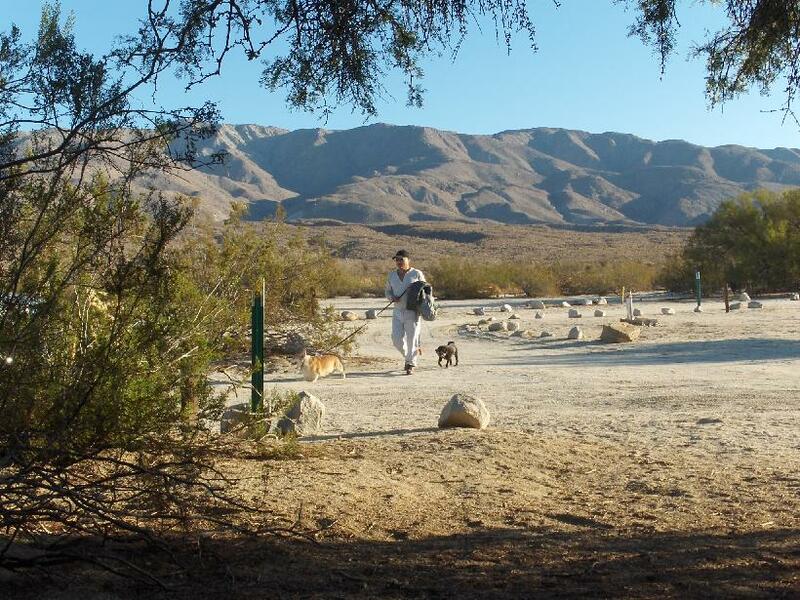 We returned to Agua Caliente County Park in the Anza-Borrego Desert, California, last week and enjoyed 5 days of sunny weather and temperatures in the 70s! 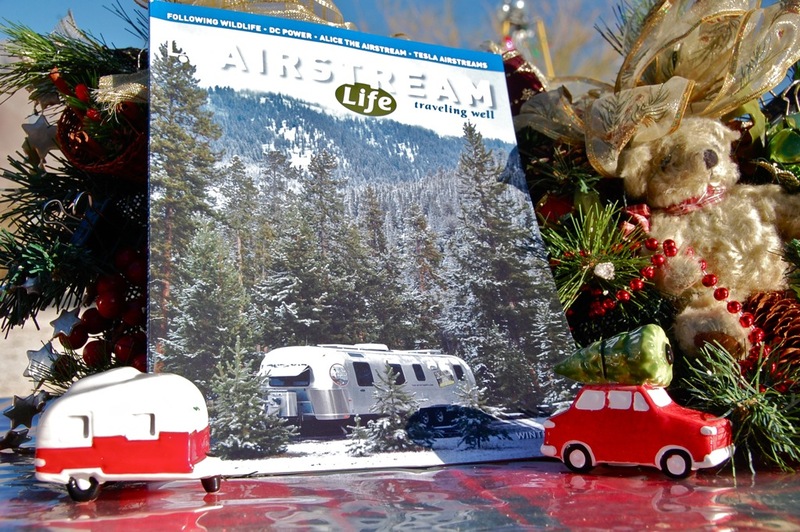 I brought along Airstream Life, 2016 Winter Issue. 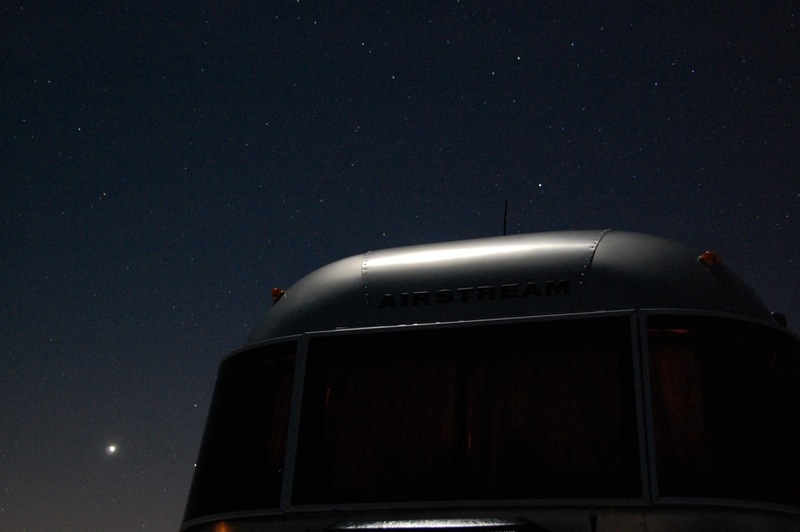 While I hiked and photographed Moonlight Canyon. 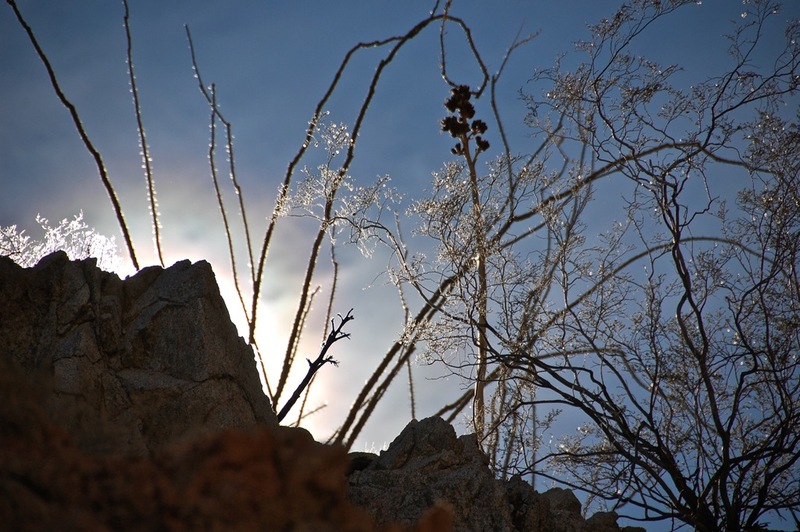 And enjoyed the quiet serenity of the desert floor in winter. 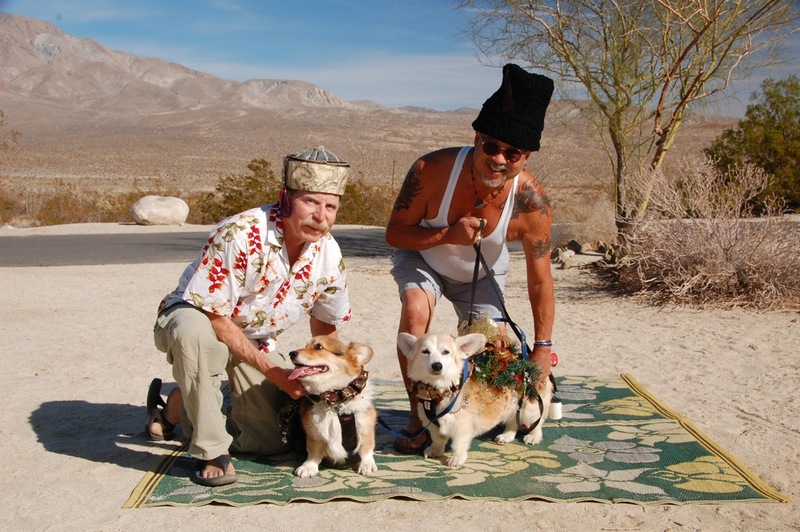 Happy Holidays from Bill and Larry, and Mac & Tasha! 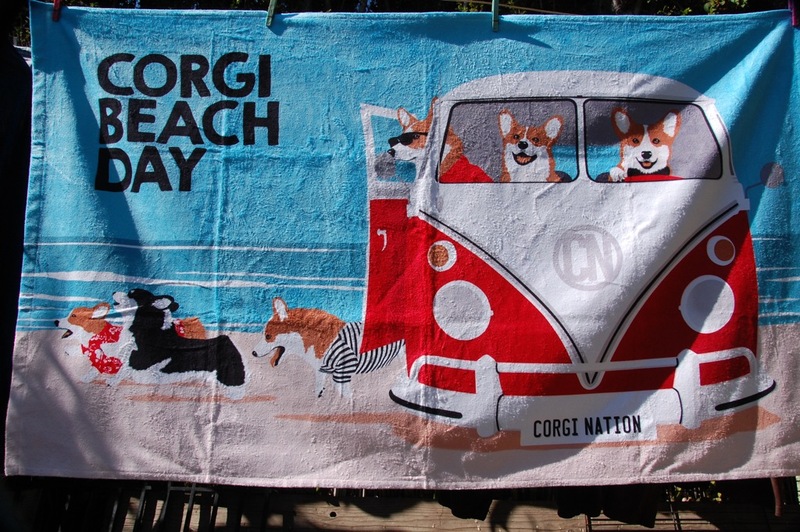 Wash, Wax and Corgi Day at the Beach! 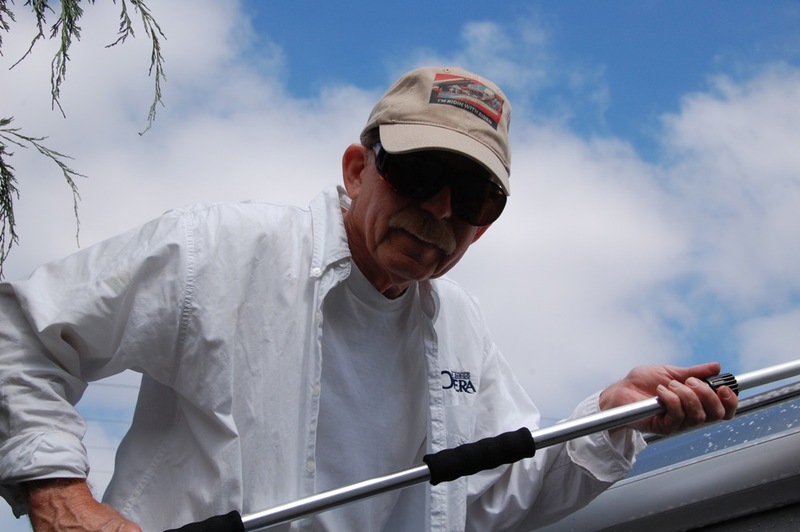 Seven years ago, I had Mohs surgery to remove a skin cancer lesion from my face, so as the sun broke through the marine layer, I put on my trusty wide brim hat for better sun protection. 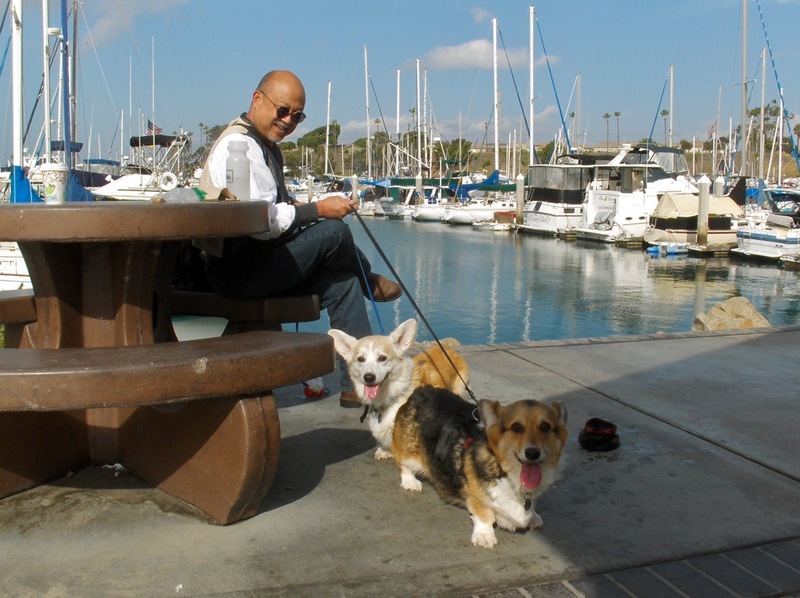 Our annual washing and waxing the trailer was completed ahead of schedule, so we took a day off and rewarded ourselves and our corgis Mac and Tasha with a day at the beach! 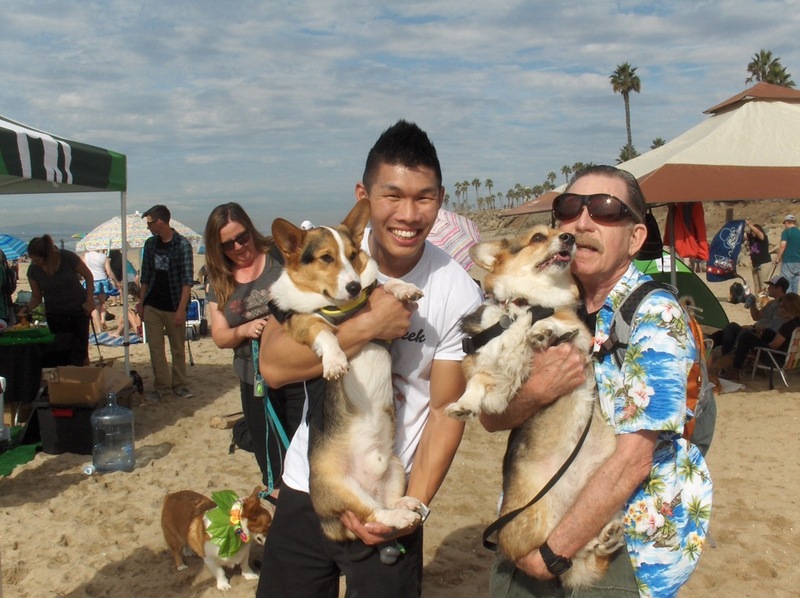 But it was not just any day, it was the 2016 Fall So Cal Corgi Nation Beach Day at Huntington Beach, California! 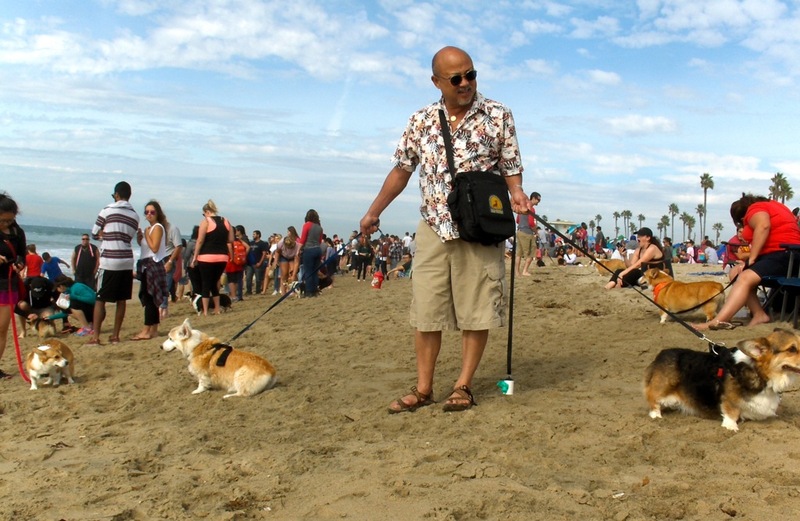 One thousand people with their corgis flocked to the beach for a day of excitement and sensory overload! 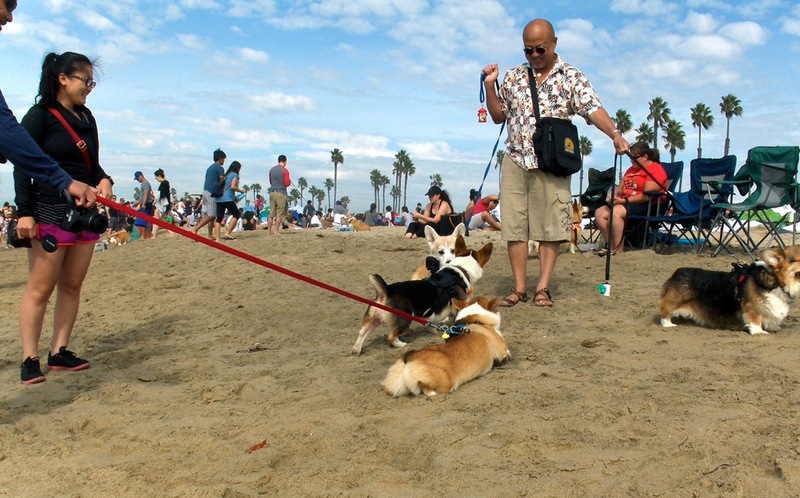 Corgis played in the surf and on the beach. 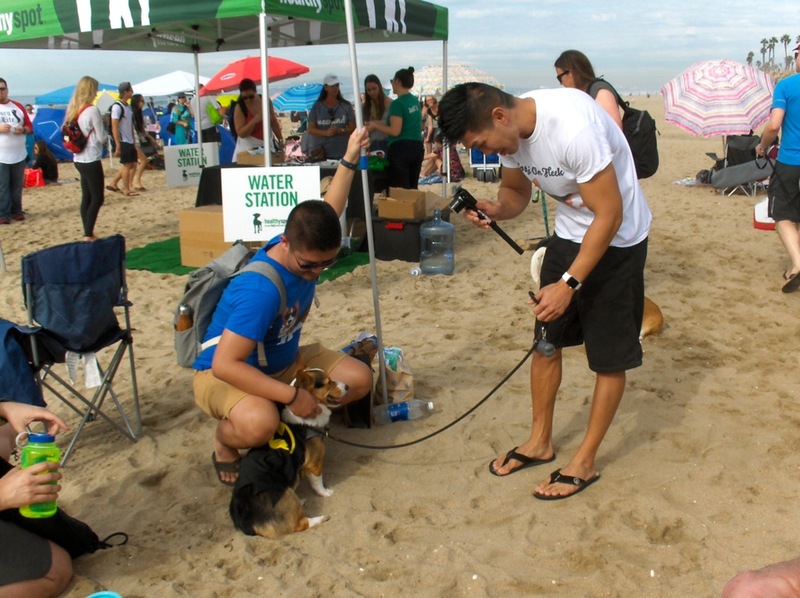 Ryen, a popular vlogger, drove down from the San Francisco Bay Area with his famous corgi Gatsby* dressed as Batman for this event! Dometic User Manual Caution: “Do not use: A knife or an ice pick, or other sharp tools to remove frost from the freezer shelves. 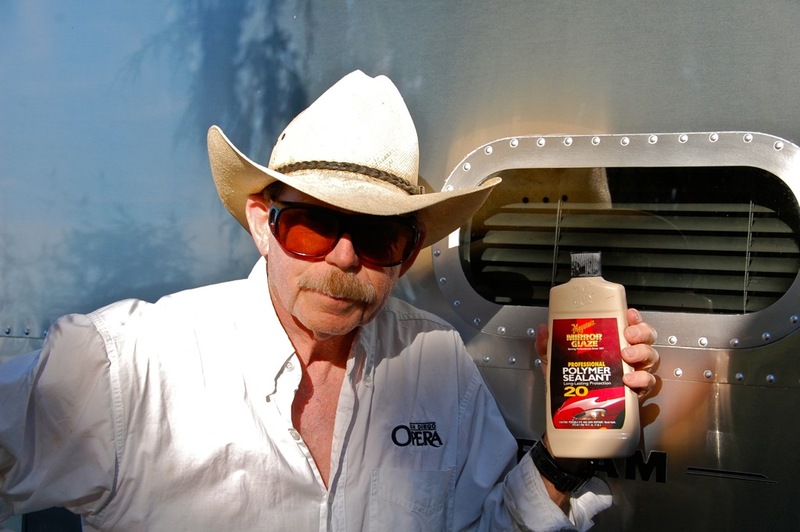 It can create a leak in the ammonia system. 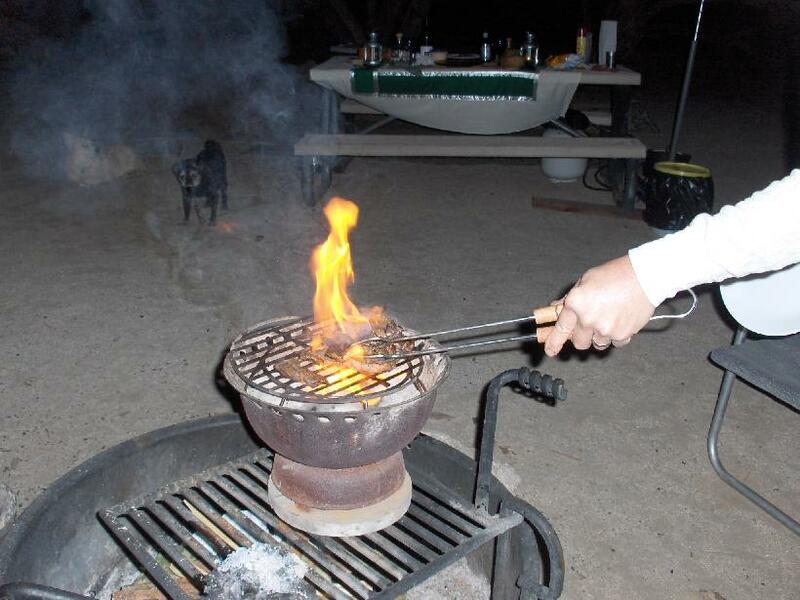 A hot air blower. 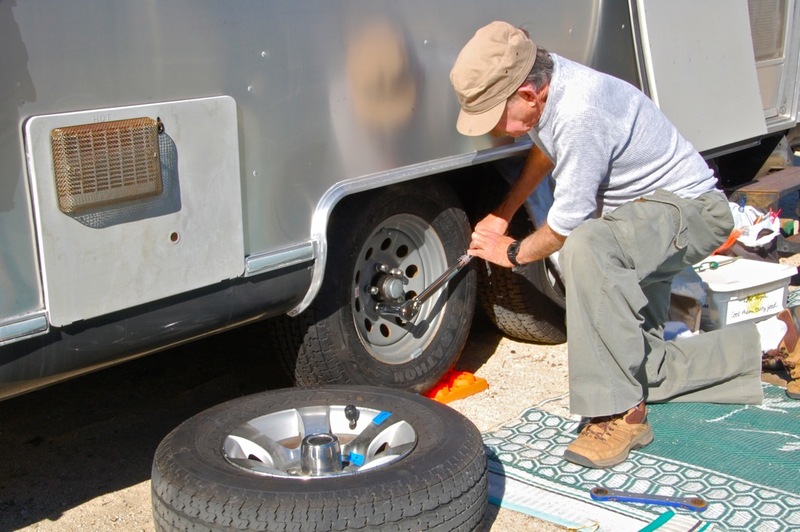 Permanent damage could result from warping the metal or plastic parts.” We use neither sharp tools nor a hot air blower and yet easily and routinely defrost our Dometic RM2551 RV refrigerator (5 cu. ft.) in less than 30 minutes. 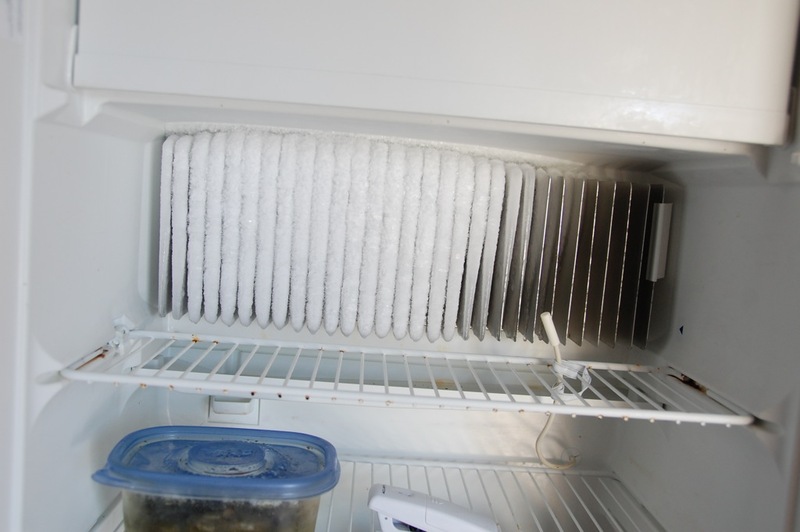 Frost and ice buildup on the cooling fins reduces the cooling efficiency of the refrigerator. 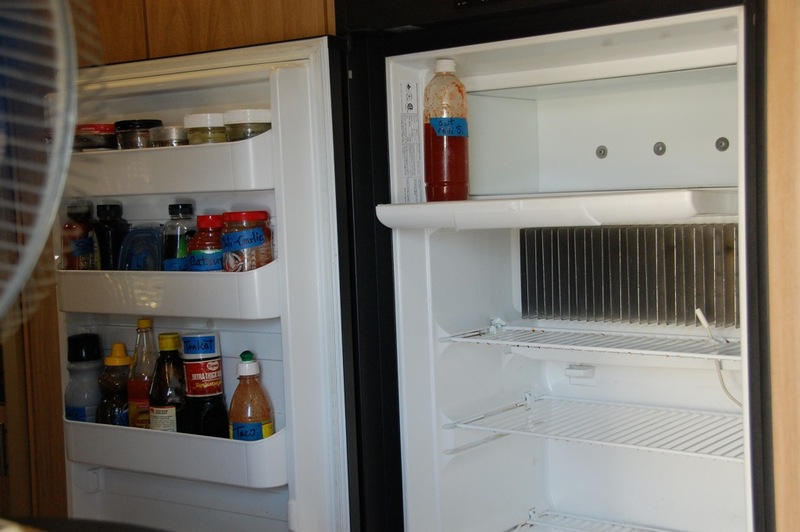 As seen below, our refrigerator is overdue for defrosting! 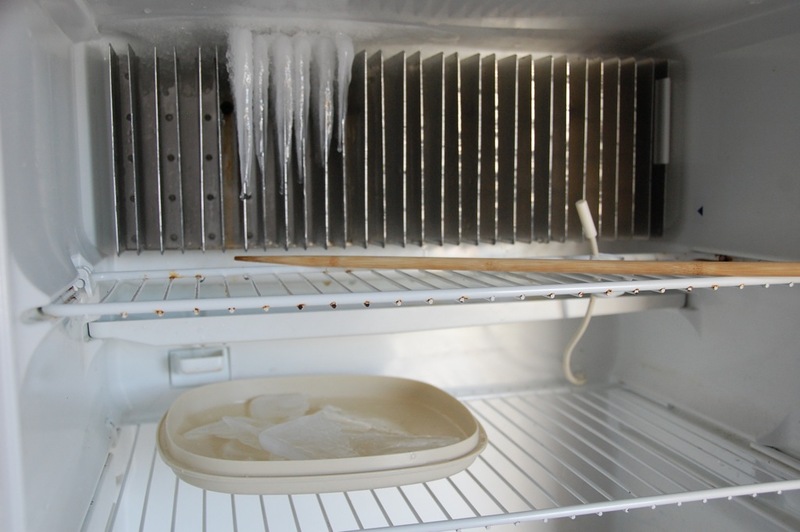 I usually defrost our refrigerator about every two months depending on outside temperature and humidity conditions. 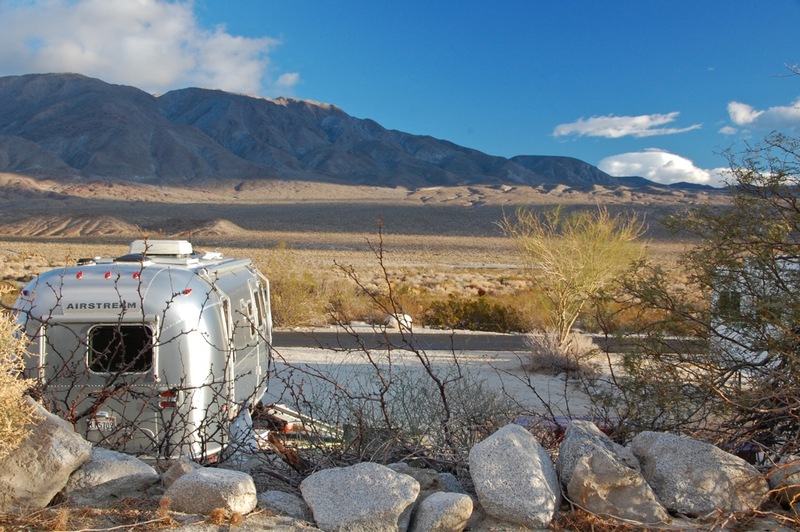 I like to start a trip with the cooling fins clear of most of the frost to make sure the refrigerator maintains safe temperatures for food (40° F or less). 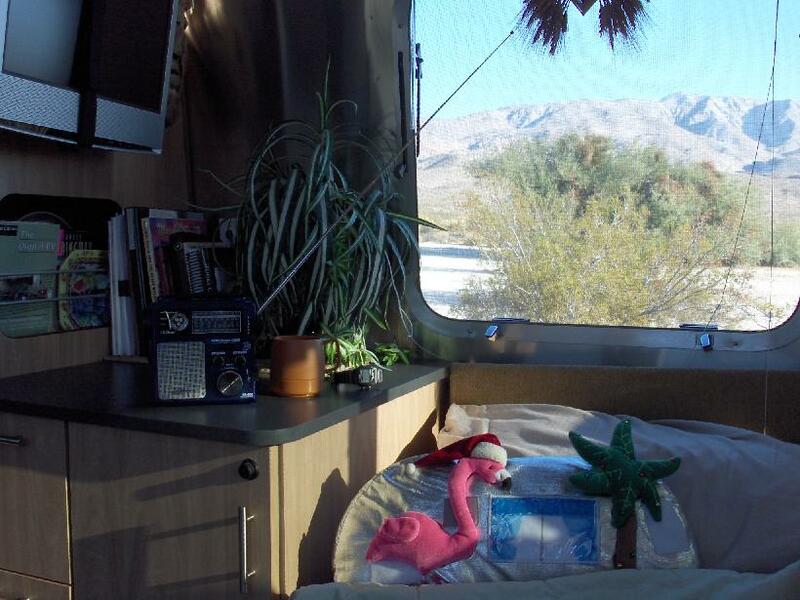 We use our RV refrigerator full time (it acts as a supplemental refrigerator when at home) and it always has food in it, so it is important to be able to do the defrosting quickly, to prevent food spoilage and to shorten the recovery time to get adequately cold again. Once I determine that the refrigerator needs defrosting, I choose a warm day and gather five tools: a cooler, electric fan, large Tupperware lid, extra long chopstick, and a washcloth. 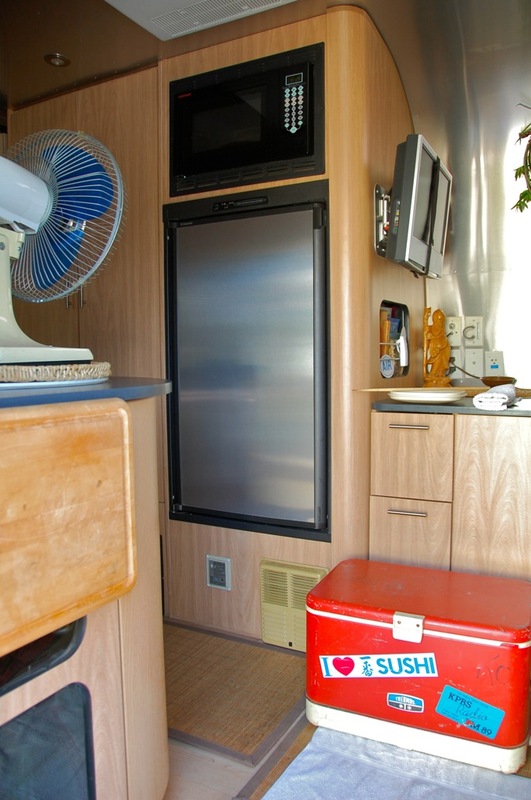 One of the benefits of our 23′ Airstream Safari trailer is that the large lobster sink/counter is directly across from the refrigerator, which provides a handy location for the fan to direct warm air directly into the freezer/refrigerator compartments. 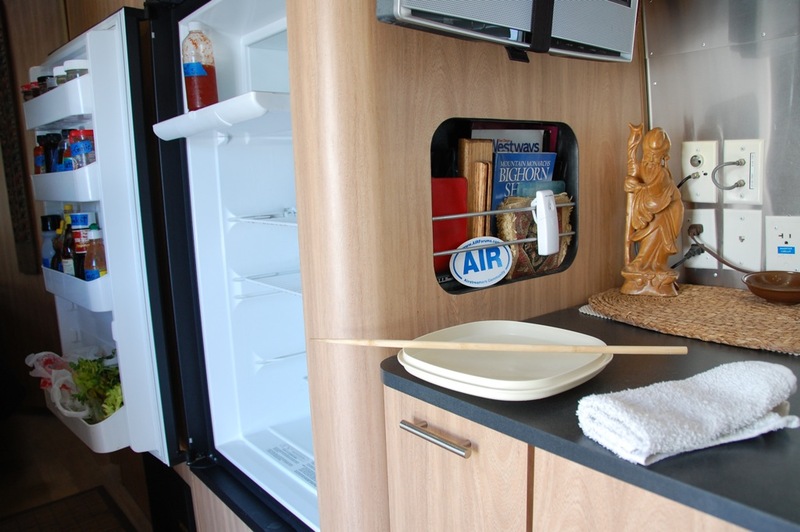 As you may have noticed, our refrigerator’s white thermistor probe wire is not in its OEM plastic holder on the far right fin where it normally is moved up and down to regulate the temperature (See How to make your RV fridge colder*). Refrigerator thermistors are NTC (Negative Temperature Coefficient) thermistors* and resistance decreases as the temperature increases. The higher the position on the fin, the warmer the thermistor will be and the refrigerator will run longer and become colder. But our probe wire is short and does not allow it to be moved high enough on the fin to obtain the proper refrigerator coldness. 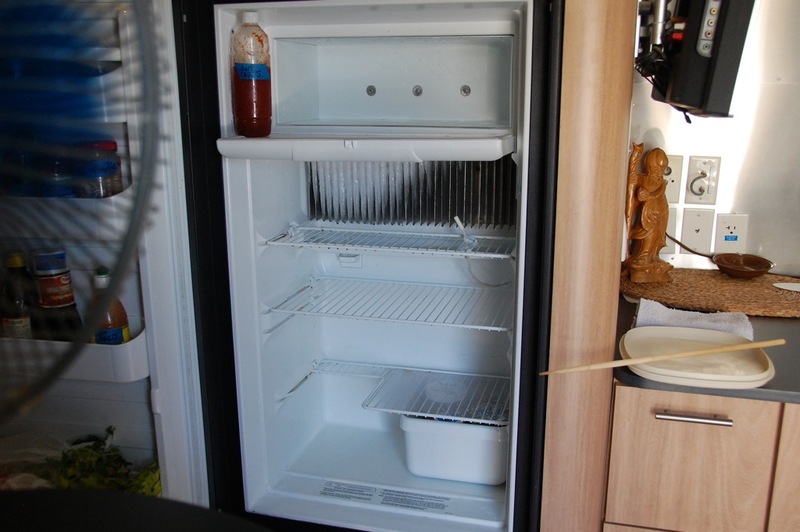 So I found that by removing it from its holder and moving it away and down from the fins, I can adjust and maintain the proper refrigerator coldness (which for us is usually 36-37 ° F and monitored by our AcuRite Wireless Digital Thermometer). 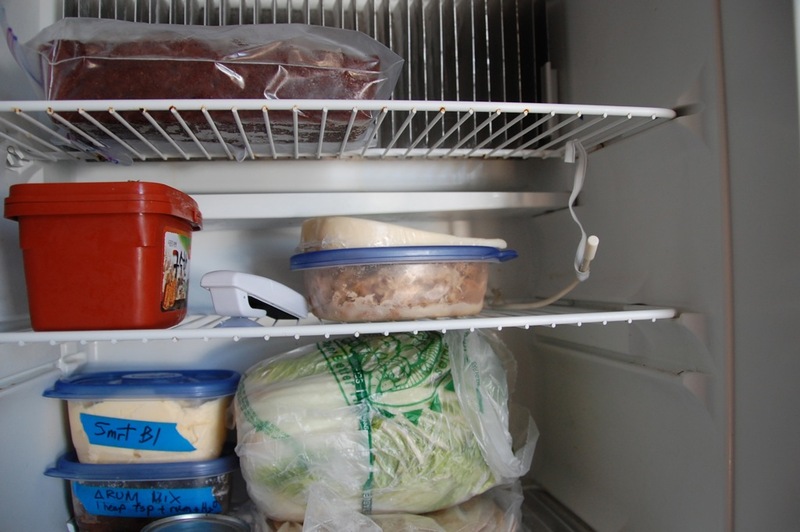 I use a condiment bottle to prop open the freezer door (Thai sweet chili sauce* works well) and place the frozen items in the cooler. 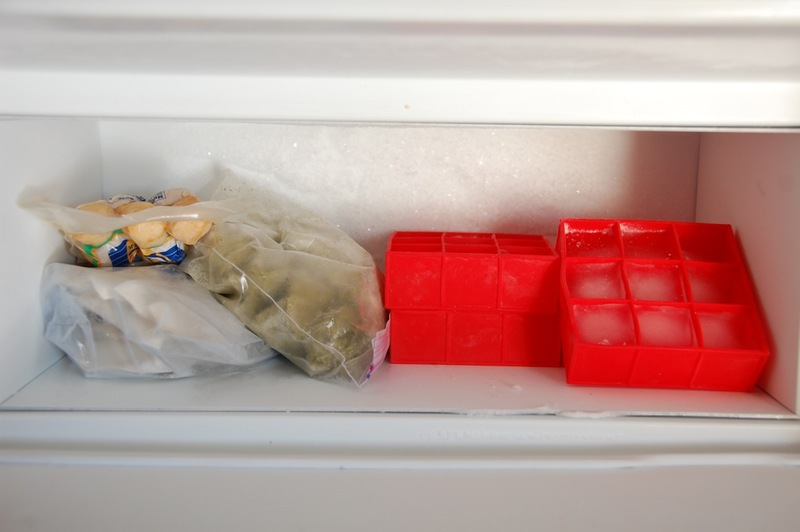 Tip: This set of 4 flexible silicone ice cube trays from Target works wonderfully for us. It makes ice cubes quickly and takes up less space than traditional ice cube trays. 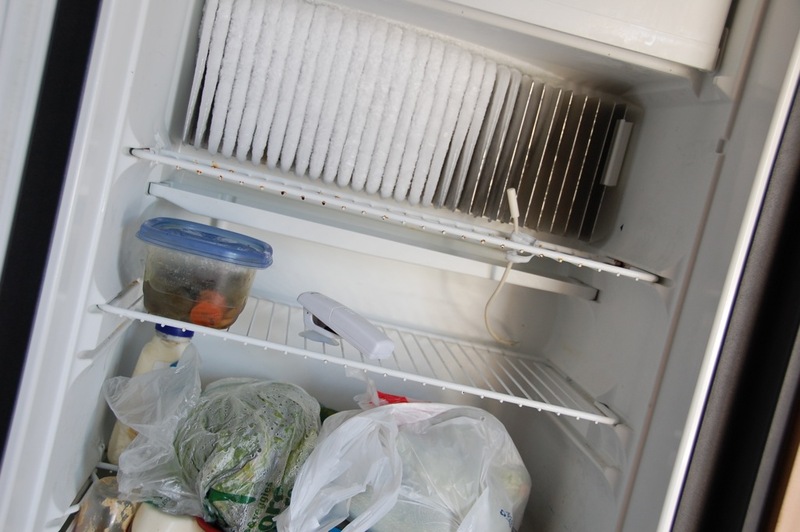 It helps keep other food items cool in the cooler when defrosting and it helps decrease the refrigerator’s recovery time after defrosting. The fan is then turned on and defrosting will take about 20 minutes! 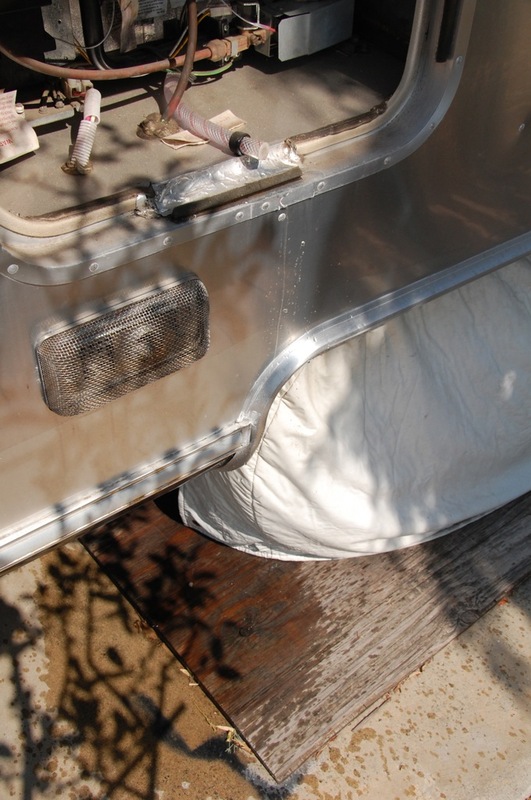 As ice begins to melt, water drips down and is collected in the condensation drain pan and flows through its bottom hole into the Dometic white drain pipe with cup, which connects with the drainage tubing on the backside of the refrigerator. 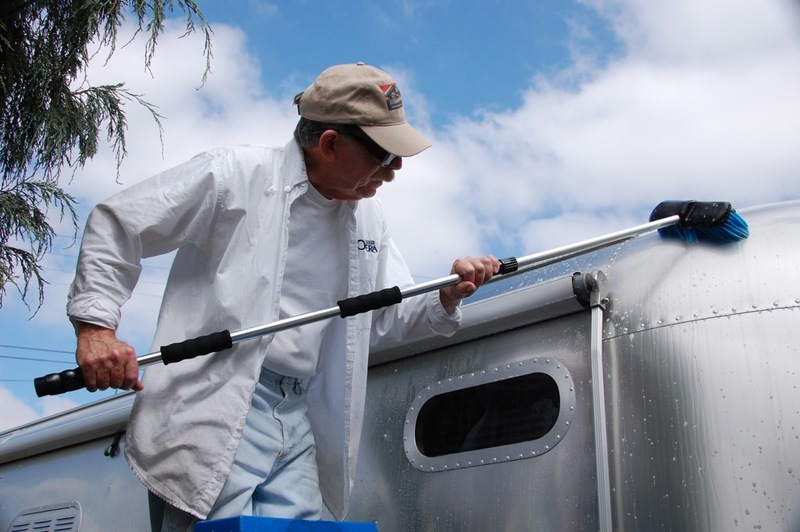 Our OEM drainage tubing had become brittle and we replaced it with Shields Rubber Series 162 Polyester Reinforced Clear PVC Tubing, 1/2″ ID (inside diameter). I chose this tubing over the clear vinyl tubing because it is reinforced, can tolerate hot water (or being in a hot space such as near the boiler tube), is more flexible and is slightly less expensive than their clear vinyl tubing. The chopstick is then used to gently nudge the melting ice sections forward and off the fins and collected in the Tupperware lid and deposited by nearby plants. 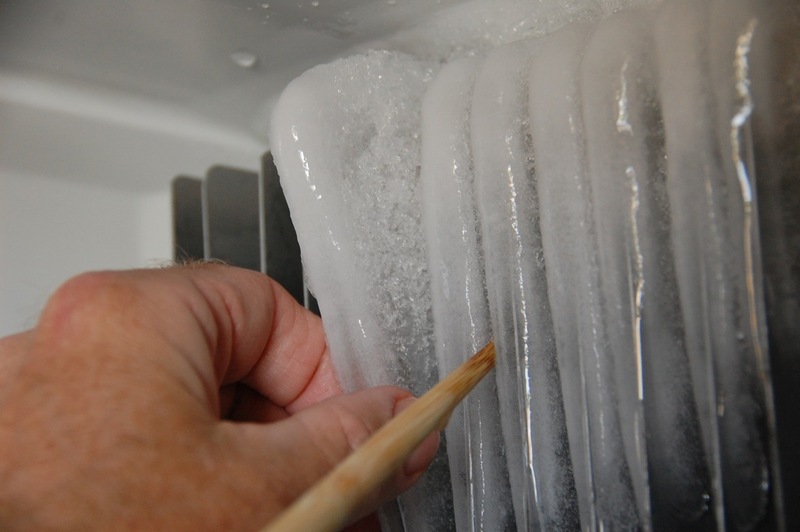 The washcloth is then used to remove excess water and wipe down the refrigerator’s insides and door seals, which completes the defrosting process in 30 minutes or less! 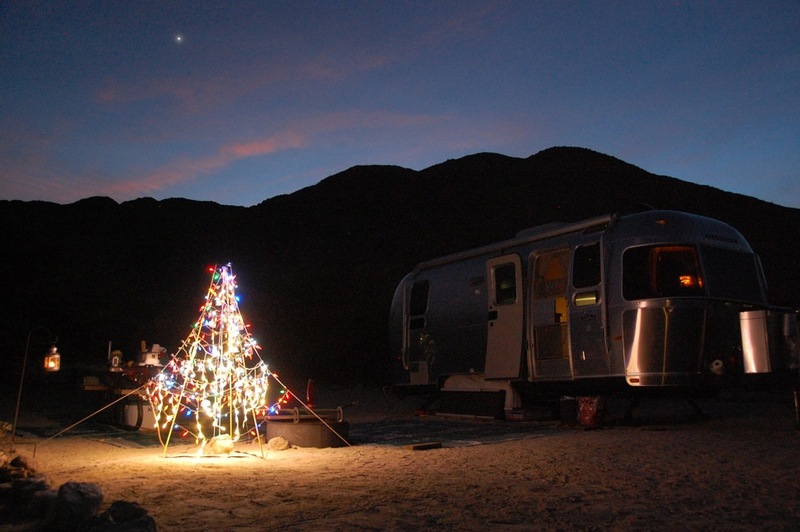 Additional information: Airstream’s How to Operate Your Refrigerator* and Airstream Life’s (Nearly) Complete Guide To Airstream Maintenance.